Seldom do you come across such Amazing Thai Mythologies both tangible and mythical as you do in one of South East Asia's most highly respected countries? Take for instance the enigmatic Naga serpent figures found throughout Thailand. They are almost overlooked by western tourists in the mayhem and excitement that exists here. These magnificent mystical creatures are everywhere, yet we know and hear very little about them. 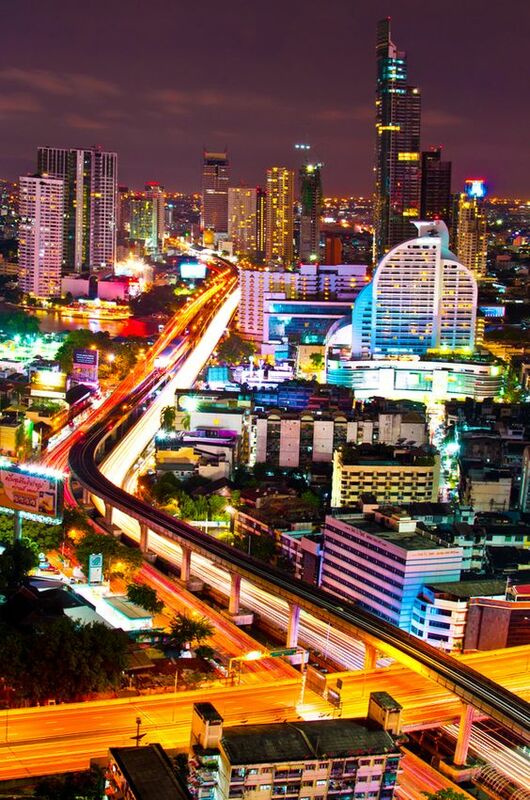 Next time you're in Thailand, take some time to look around and I'm sure you'll get to appreciate their fine beauty. Naga figures, whether sculptured from wood, stone, bronze or any other material, are serpent-like creatures that act as protective guardians against evil spirits. They often flank the walls of temples or the staircases leading up to them. Many can be seen carved on roofs, doors, gables and windows. Nagas are understood to control rainfall and are worshipped as water givers during Songkran festivities. The protective powers of Nagas are also shown when Mucilinda, the king of the Nagas, grows several heads to offer shelter to the Buddha from a thunderstorm. Though the significance of Nagas is deep-rooted throughout Buddhist Asia, their meanings may vary slightly from country to country. They often overlap between Buddhism and Hinduism. In Buddhism, their origins can be traced back to an episode in the Jataka tales in which a Garuda or mythical bird will attempt to attack and subdue a Naga that tries to protect the Buddha. The successful intervention of the naga will then allow it to become the Buddha's guardian. The Jataka Tales have references to various Asian languages, but in typical Thai tradition, they're uniquely known as Chadok. They refer to a voluminous body of folklore-like literature concerning the previous births of Buddha. Chadok or Jataka is specifically attributed to a division of text concerning the Pali Canon of Theravada Buddhism, which includes the Khuddaka Nikaya of the Sutta Pitaka. 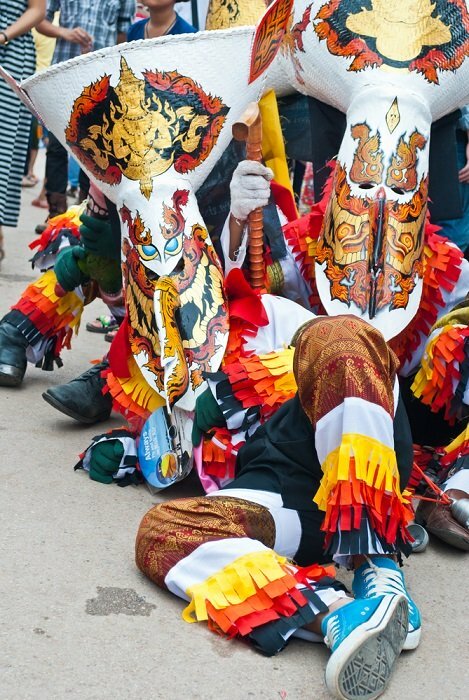 Nagas can be seen at the Disney Land theme park of Wat Khack in Nong Khai, a small town in northeast Thailand. The park is filled with bizarre and bewildering sculptures, including the seven-headed Naga. Discoveries of some of the temple remains, as well as a number of exquisite bronze and stone statues depicting remnants of the Srivijaya Buddhist Empire, can clearly be seen in the somewhat dreary railroad town of Chaiya. Chaiya is a small town situated in the Surat Thandi Province which is just off the coast of the Gulf of Thailand. Many fine examples of these superb sculptures found here date back as far as the 7th to the 13th-century. They show Mon and Indian influences of the Srivijaya period with figures such as Bengali-style Buddha images and multi-armed Hindu deities. These, along with a variety of votive tablets can all be viewed at the Chaiya National Museum as well as many at the National Museum in Bangkok. Garuda is a bird-like creature in Hindu and Buddhist mythology. Apsonsi appears in the form of a half-woman and half-lion. Kinnari appears in the form of a half-woman and half-bird. Yaksha appears in the form of a grimacing giant statue. Makara is an aquatic monster part crocodile, part elephant and part serpent. Singha has a lion-like figure whose primary function is to guard temples. Erawan is a three-headed mythical elephant of Hindu origin. The elephant statue seen in the photo is located in the province of Samut Prakan just outside Bangkok. Hongsa is often seen as a glittering five-metre tall swan-like figure gracing the prow of a royal barge or perched high on the apex of temple roofs.